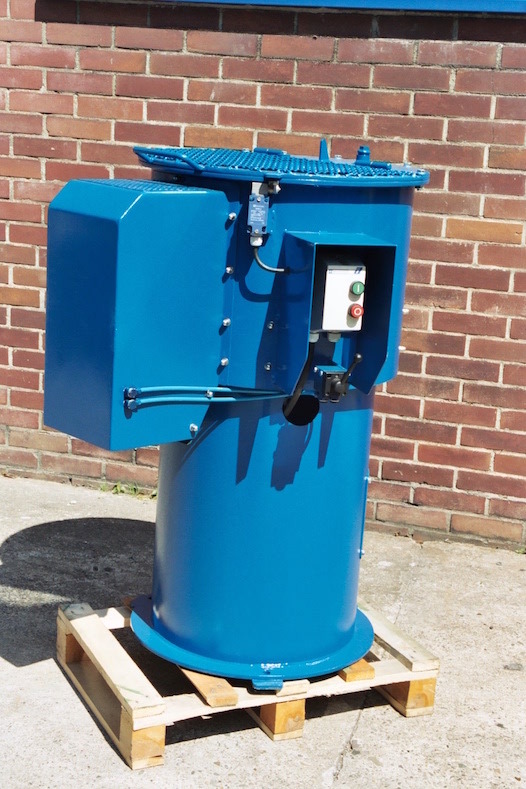 Our core sand mixer type IAH 400-3300 is suitable for resin-bonded as well as water-bonded sand. 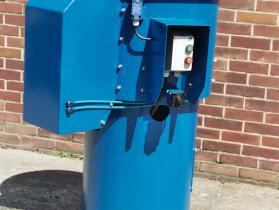 The mixing chamber is manufactured from stainless steel. The bottom and side walls are fitted with replaceable wear-proof bottom and side plates which are also manufactured from stainless steel. The height of the mixing paddles can be adjusted to ensure the best spacing from the mixer bottom. The design of the mixing chamber without corners or edges ensures that the components are well mixed. The special shape of the mixing paddles guarantees rapid mixing. The mixing paddles are driven by a gearbox flanged motor which is mounted below the mixing chamber. 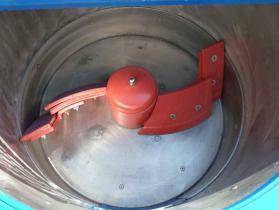 The emptying flap can be operated by hand or with a pneumatically actuated cylinder. The flap is fitted with a protective cover for safety reasons. The lid of the mixer is fitted with a grating which is monitored in accordance with the relevant accident prevention regulations. The mixer version with the pneumatically actuated emptying flap is suitable for integrating in fully automatic production systems.